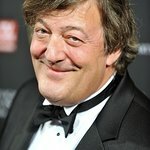 Stephen Fry, Fearne Cotton and Matt Lucas were some of the stars who turned out at a charity event in London on Monday to celebrate the 65th birthday of the late great Freddie Mercury. 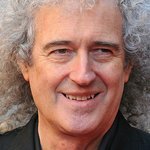 Queen's Brian May and Roger Taylor also attended the event – held at the Savoy Hotel – to raise money for the Mercury Phoenix Trust. The birthday event also acted as a key focal point in the worldwide campaign Freddie For A Day, which launched last year through the global Queen fan base. Started by a handful of fans who decided it would be fun to dress as Freddie for a day and coerce sponsorship from family and friends for doing so, donating whatever they would raise to the MPT, no one could have imagined the extraordinary response which followed. Fans from 24 countries around the world – from Argentina to Ukraine, jumped on the idea to join in. Among the items auctioned at Monday’s event were a “Freddie customized” Lotus Evora “S” Class sports car, a Raymond Well watch, an acoustic guitar from the 1992 Freddie Mercury Tribute Concert signed by among others David Bowie, George Michael, Brian May, Roger Taylor and Cindy Crawford, and a Brian May Burns Red Special guitar signed and donated by Nelson Mandela on behalf of his charity.